Mudpies to Dragonflies: Pictures, Anyone? Okay. I've promised pictures and the Picture Queen is here to deliver! 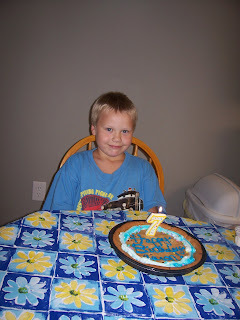 Tonight I will start with pictures from A's 7th birthday. 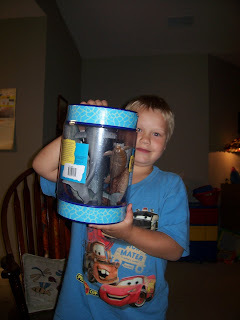 Here's when I comment that it is hard to believe that he is 7 years old! 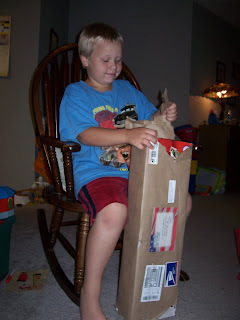 His presents included a large package from his grandma and grandpa in Wisconsin. Their gifts (good stuff!) are always delivered by the mailman. And just having that big, brown-wrapped box (or boxes) around the house for a day or two is just delicious torture! Shhhh, I think it might be a scooter!! 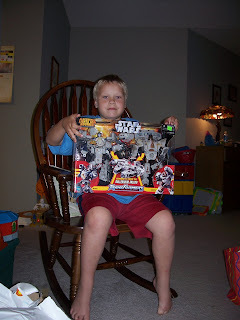 Birthday gifts included clothes, GameBoy games, a scooter, a Spiderman kickboard, ocean animals, shark books, a Spiderman game for the TV, and a Star Wars Transformer. Now, I've included this picture for all the A fans. 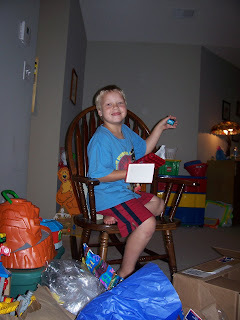 This was taken a few days after his 7th birthday. 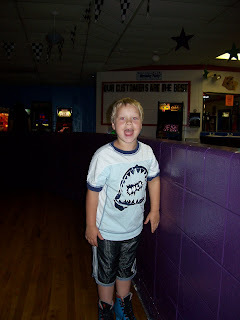 He was at a roller skating party for one of his school buddies. A lost his tooth with a big bite of cheesy pizza and was showing off his new smile. Oh, yeah, and he's on roller skates!